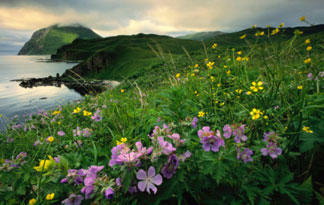 Rat Island, part of the Aleutian Islands, is just one example of an island habitat devastated by invasive rats. About 90 percent of the world's islands have been overrun by rodent stowaways, which can spell disaster for native species -- especially seabirds. Happily, however, the name "Rat Island" is now technically a misnomer. Although rats enjoyed the run of the place starting in the 1780s when a shipwreck dropped some ashore, they were officially eradicated in 2010 after years of dedicated conservation efforts. Now birds are starting to reclaim this previously rat-infested stomping ground and slowly grow in numbers (as they are on other islands where eradication efforts have been successful). And not a moment too soon, considering rats cause about half of all island extinctions of bird and reptile species.